Don't let embarrassing redness ruin your day. Firstly, education and communication is paramount. Patients need to understand what the condition is, the importance of flushing in the development, and the triggers that cause flushing so they can be avoided. Everybody's triggers vary to a point. Then it depends on stage of condition. Early, limited to intermittent redness the condition can be treated with pure lifestyle measures, rigour avoidance,good skin care advice and sun protection. 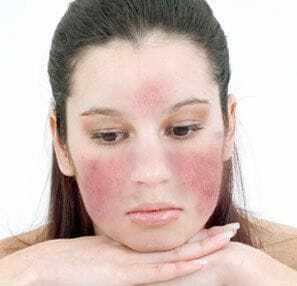 Inflammatory rosacea, i.e. redness associated with the pimple like spots on the face (classically cheeks, chin and nose) usually require an oral anti inflammatory medication such as the tetracycline antibiotics. Also, low dose isotretinoin (vitamin A, also known as roaccutane/oratane) is extremely successful in not only treating the inflammatory rosacea BUT also because it is antiangiogenic it inhibits development of blood vessels in the tissue. I will usually give patients this treatment in low dosage e.g. one tablet 3 times a week for 1 - 2 months. The nice thing about this treatment are the long term benefits even after stopping the treatment. I have some patients that I actually put on low dose beta blockers to help stop flushing. Sometimes they just take the medication before an event where they know they will flush badly e.g. before a major presentation. There are other topical creams such as rozex, elidel and azelaic acid that can be helpful. There is some research on the role of vitamin D.
Obviously, good skin care consisting of gentle cleansing (foaming and scrubbing cleansers are a no-no), keeping the skin well hydrated to support the epidermal barrier and of course good sun protection. Rosacea is an extremely common chronic skin condition. I personally think at least 1 in 4 suffer from it and it is under-diagnosed. People who are most affected by rosacea tend to be in their 30s or 40s and are generally of lighter complexion. However, the signs that start the rosacea process can be present in teenage years and the twenties. Early recognition of these signs is the key to prevention and treatment. Why is rosacea sometimes a difficult condition to treat/cure? It is difficult to treat largely due to late diagnosis and the realisation that what starts out as short episodes of "rosy cheeks" is actually an early sign and a problem. People don't realise until much later when permanent damage sets in. Although we can still treat rosacea at any stage, early awareness can almost stop progression and development. Rosacea is primarily a flushing/blushing condition of the skin. The early development starts with a predisposition to literally "flush and blush" easily. This seems to be a physiological/genetic predisposition. It is more common, BUT not limited to fair skin types. It is often associated with an increase in skin sensitivity. You can't change your genetic predisposition BUT the good news is that you can prevent it by reducing flushing, and you can treat rosacea. Put simply - no flushing means no rosacea. In a busy life this is easier said than done. Most patients don't realise that has been a problem until they have well and truly developed the condition. At that point it is hard to completely reverse. Our lifestyle choices are increasing the incidences by undertaking activities and choices in our daily lives that make us flush. Bikram yoga is a very good example of this, as well as, sun exposure. Rosacea generally starts with some flushing and blushing or a modest redness on the cheeks, nose, forehead and chin. As the condition progresses, symptoms typically worsen to include persistent redness on the nose and cheeks. Small blood vessels begin to grow, particularly on the nose, and become increasingly visible. Diffused generalized redness may become constant and often worsens after exercise, the drinking of coffee or alcohol, or exposure to some other kind of "trigger." Pimple like spots may develop as well, a factor that has led to the misperception that rosacea is "adult acne." Rosacea Will Worsen Without Treatment!!! Rosacea absolutely gets worse if you don't treat it. It takes a long time for the telltale spider veins (a major symptom of rosacea) to first appear on the face. These are caused by persistent episodes of flushing and the effects of additive sun exposure. The sun has to hit the skin for a significant period of time to trigger the creation of a few blood vessels, but once those have formed, it becomes easier for the sun to stimulate the gene in those cells to produce even more. So you have this downward spiraling effect. I often hear such comments from my patients as, "I just started noticing these facial veins a year ago and now I'm covered." The process begins to get worse, creating more and more blood vessels - and redness. As rosacea is fundamentally a condition linked to a predisposition of flushing and blushing, it cannot be completely cured. However, we can fix the ramifications in the skin and prevent further damage. Laser Treatments For Rosacea At Darlinghurst Dermatology Skin & Laser Clinic. At Darlinghurst Dermatology Skin & Laser Clinic we have invested in the most effective laser technology for the treatment of rosacea. As a specialist dermatologist I realised how common this condition is, how distressing it is for patients and how poorly treated it is in the community in general. Subsequently, I have made it my mission to invest in optimal technology to improve treatment options for this debilitating condition. Redness and flushing, caused by tiny blood vessels underneath the skin, which are the most prominent and common features of rosacea, are best treated with lasers. Although most patients see a significant improvement in their symptoms following one laser session, several sessions are usually needed to complete the treatment. If you then make the effort to avoid aggravating sun exposure, visible blood vessels may not return for years. Darlinghurst Dermatology Skin & Laser Clinic has two (2) laser systems to use in single treatment sessions to boost results giving patients greater improvement with fewer treatments for rosacea and facial rejuvenation. The new addition Cutera Excel V supersedes other laser systems in the treatment of both facial veins as well as the difficult to treat diffuse redness of rosacea. The superior technology reduces the number of treatment sessions required by half. It also succeeds in the treatment of difficult diffuse redness and rosacea where other machines fail. We combine the use of this system with the Sciton BBL. The use of the two technologies results in fewer treatments and more effective long lasting results. Laser treatments are slightly uncomfortable, but not painful. In fact, the discomfort is not even great enough to require that a topical numbing cream be applied to the skin before the procedure begins. You'll experience minimal downtime, and can return to your normal activities as soon as you feel comfortable doing so. Expect some redness, which usually lasts for an hour or two after treatment, and some swelling, which typically lasts for two to six hours, but sometimes lingers for up to four days depending on how much redness and vessels you have. You may also experience bruising; this side effect, when it occurs, may take four to seven days to go away. Once you've undergone laser treatments to remove the blood vessels associated with rosacea, it takes a very long time for them to come back. If you then use sunscreen every day, you might not need to have any further laser treatment for another one to two years, maybe longer. Reducing sun exposure as well as triggers that cause you to flush is imperative for preventing further blood vessels from developing.